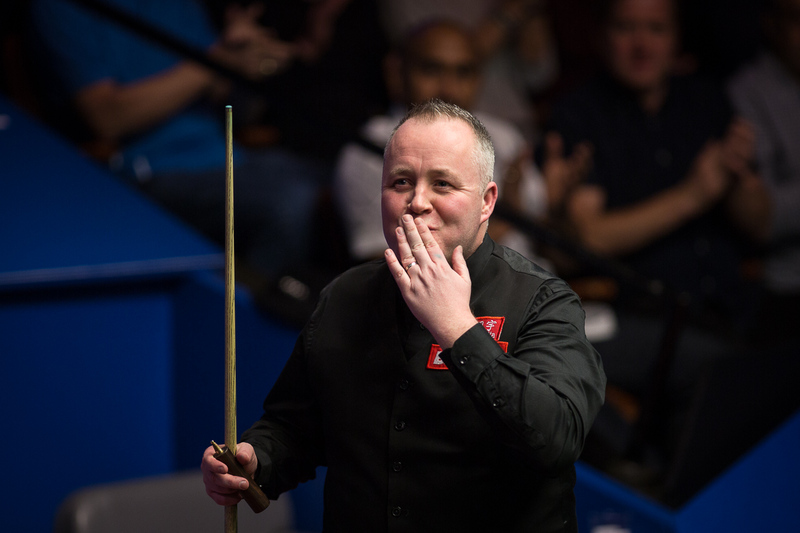 John Higgins won 13-9 in match of the highest quality against Mark Allen to reach the quarter-finals of the Betfred World Championship. Allen made four centuries and seven more breaks over 50 during the second round tussle so must be wondering how he ended up on the wrong side of the scoreline. Higgins himself made two tons and five more breaks over 50, and potted the key balls at the vital moments as he marched into the last eight at the Crucible for the 12th time. The Wizard of Wishaw, who lifted the trophy in 1998, 2007, 2009 and 2011, will now face Kyren Wilson over 25 frames on Tuesday and Wednesday. It has been a fine season already for Higgins with three titles under his belt, although none of those victories came in ranking events. The 41-year-old will be looking to finish the campaign in style and is rated favourite by Betfred to come through the bottom half of the draw. Northern Ireland’s Allen trailed 9-7 going into the final session tonight but quickly halved the gap with a break of 76 in the opening frame. He looked set to win the next until he got a kick when attempting to pot a red to a top corner on 58. 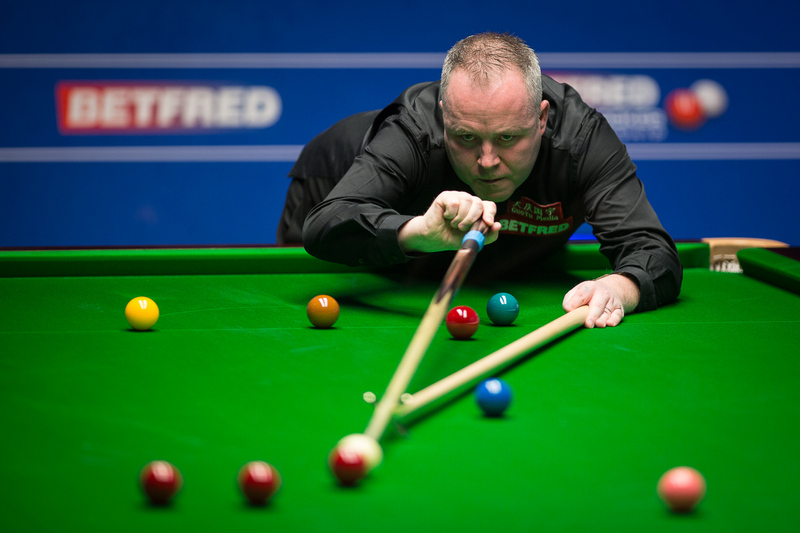 Higgins punished him with a 63 clearance which included superb pots on the last pink and black. A fist pump from the Scot underlined how crucial a moment that was. Higgins took the next as well with a run of 120 to lead 11-8. Allen made a 54 in pulling one back but he didn’t score a point after the interval as Higgins dominated the last two frames with top breaks of 46, 49 and 40. “It’s an unbelievable win, I’m over the moon,” said world number six Higgins. “That clearance where he was unlucky and got the kick, if it goes 9-9 then he was looking confident again, that probably won me the game. “If you don’t make those clearances…I’ve come here a few times and been presented with similar opportunities and broken down at 20 or 30. So to make those sort of clearances tells you that you’re doing something right. “Mark plays like that a lot against me, he’s great to watch and he is a fighter. It’s a great win for me and if I can keep playing like that then I could have a chance. Allen, who finishes the season with just one ranking event quarter-final appearance, said: “It was frustrating. I feel like I played really well in spells. John made those two big clearances and I feel 13-9 wasn’t a fair reflection of the match. “John played really well and he closed out the match as you would expect John Higgins to do. The last two frames I didn’t really see a pot, I was always in trouble when I got to the table. That is what the best players of all time do and John is in that bracket. Asked whether he hopes to be reunited with coach Terry Griffiths, Allen added: “It is complicated but he has said no. It is a hard one for me to take because we had a very close relationship. I think it shows what the relationship meant to both of us. I said yes but he said no. “I want someone to work for their money not just turn up when they feel like it. There are a lot of things going on and it isn’t great for me, because I’ve always seen Terry as more of a family figure than a coach and it has been very disappointing in the last few months to see where he stands. Meanwhile, world number one and defending champion Mark Selby established a 6-2 overnight lead over Xiao Guodong. Selby surged into a 5-1 lead with top breaks of 67, 58, 51 and 76. China’s Xiao pulled one back with an 89. In the last frame of the session, Selby had a chance to clear from 49-0 down down but missed a tricky brown on 57. A safety battle on the brown went Selby’s way as he cemented his advantage. They resume on Sunday at 2.30pm.